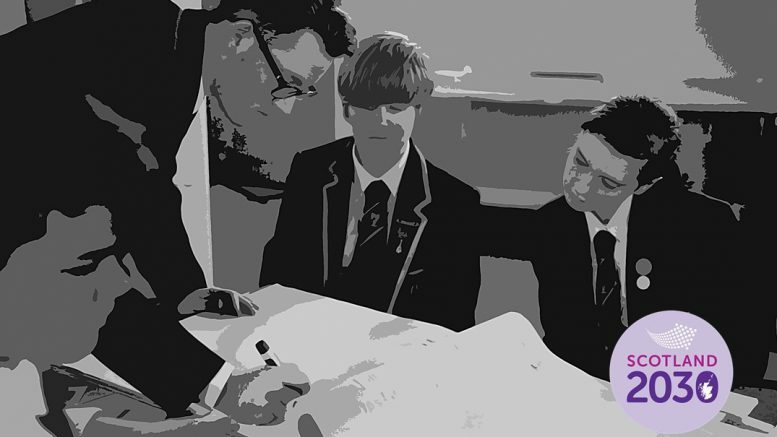 The Futures Forum and the Goodison Group in Scotland continued their exploration of schooling and learning in the future. Bringing together representatives from business, government and education, this event focused on leadership in education and featured a contribution from Graham Donaldson. Chaired by Sir Andrew Cubie, Scotland’s Futures Forum director. A written report of the discussion will appear here in due course. A former teacher, Graham Donaldson headed Her Majesty’s Inspectorate of Education (HMIE) from 2002 to 2010. He radically reformed the approach to inspection, combining external accountability with self-evaluation and capacity building. As chief professional adviser to Ministers on education, he has taken a leading role in a number of major reform programmes. 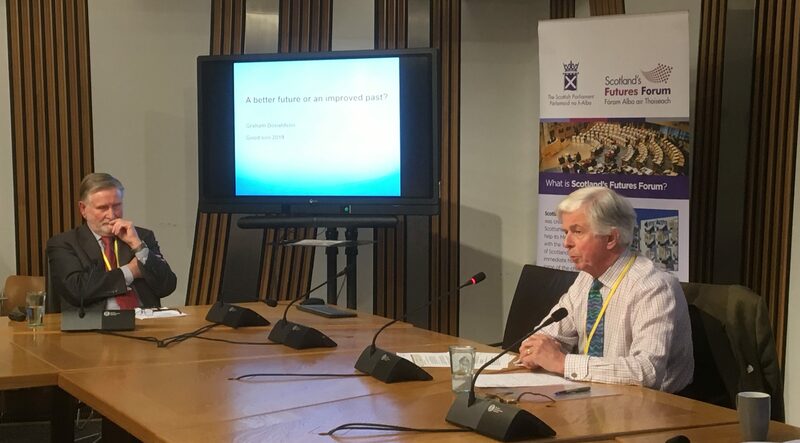 Following retirement from HMIE, his report ‘Teaching Scotland’s Future’ (2011), made 50 recommendations about teacher education in Scotland which have all been accepted by the Government and are the subject of an ongoing reform programme. He has also undertaken a review of the national curriculum in Wales and the 68 recommendations in his radical report, ‘Successful Futures’ (2015), have also been accepted in full and embodied in a major, long-term reform programme. Graham has worked as an international expert for OECD, participating in reviews of education in Australia, Portugal and Sweden. He was made a Companion of the Order of the Bath by the Queen in 2009 and given the Robert Owen Award as an Inspirational Educator by the Scottish Government in September 2015. In addition to various forms of consultancy and continuing to act periodically as an international expert to OECD projects, he was appointed as an Honorary Professor in Glasgow University in 2011 and an adviser to the Minister for Education and Skills in Wales in 2015. Graham is also a member of the First Minister of Scotland’s International Council of Education Advisers (2016).